Data Service: AT&T U-Verse 20 Mbit downstream / 4 Mbit upstream. Goal is to run our Predictive Dialer supporting a dozen agents at once. 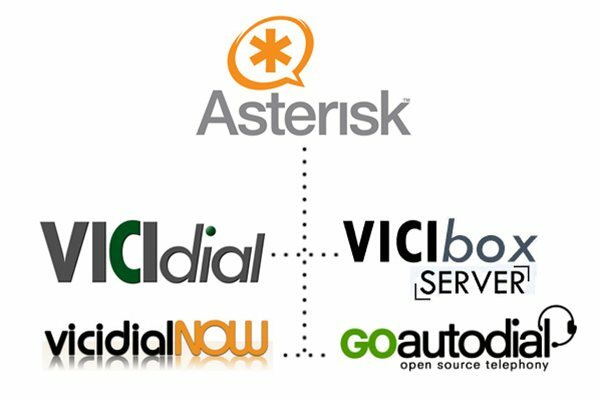 What installation of Vicidial / Asterisk am I using? First of all I am assuming you have a setup similar to me, meaning you have your server sitting at your home or office and your server is plugged into a router and is not directly plugged into your Cable Modem or DSL Modem. In our case we have AT&T Uverse, and they gave us one of those all in one boxes ( Modem, Router, Wireless ). Your Server will need to stay on a static IP address on your local network. You can usually set this from within your router's webadmin system. All it does is tie the MAC address of your server to a specific Local IP address. This way when you reboot the server or the router, the same local IP will be assigned to your server. In our case we set the router to 192.168.1.75 on our local network. Its also a good idea to purchase a static IP from your ISP. Although this is not 100% needed if you have cable modem, as most cable modem companies like comcast tend to lease your IP to you for 6 months to 18 months. Normally the only time cable modem providers will change your Public IP would be after an outage or network maintenance. If you have DSL, then usually your modem will get a new IP almost daily, so its recommended you pay the extra $10 - $15 / month for 8 static IPs ( 5 usuable, 3 for gateway and such ). Then for convenience I usually buy a domain and point its DNS to that IP. That way our agents can type a domain into their soft phone settings rather than an IP that might change. What Ports do I forward for Vicidial / Asterisk? first login via SSH to your server. Then there are three lines that you must have. If you see multiple localnet entries, I am not 100% but I believe you can delete them. I did and everything was working fine. After you change the settings in your sip.conf you will need to reboot the server so they take effect. This morning I got a call from my client saying the dialer is not working. I connected my softphone ( X-Lite 4.0 ) and tried to manually make a call, and even though the call went through, there was no voice or audio. This leads me to believe that either there is a problem with our server, a problem with the firewall on the Uverse Modem / Router, or a problem with our SIP trunk provider. I am almost 100% certain its not my laptop or my home network as everything was working yesterday without any problems, and I haven't changed anything on my side. I am about to just DMZ the server on our Uverse box which isn't great for security, but sometimes its the only way. Another option is to DMZ the Uverse Modem shutdown the wireless on it, and basically turn it into a simple stand alone Modem. and then add our linksys wireless router and just configure everything around that. I will update this post again once I get the bugs worked out. I am sure I am not the only one having these issues. Even though this is not ideal for security, we have DMZ the router for the Server. Since doing that everything has been working perfect. We are going to leave it like this for a few days to make sure everything stays this way. Then we will add a linksys router to the setup. At this point I am convinced the U-Verse All in one Modem Router box is somewhat defective. I will update this blog again in a few days. So far so good. Since going DMZ with the U-Verse All in one Modem / Router, the server has been running perfectly. Just a note for anyone who wants to do this themselves. I recommend running the update IP script on your dialer, which changes the IP from the local IP ( 192.168.1.x ) to your public IP. Then changing your router's configuration to DMZ to your server, then reboot the server. What is even more amazing is how much faster the server seems to run. Seems the U-Verse Modem has a rather slow firewall. I realize that this is an old post but I was hoping you could help. I have setup a vicibox server. I am also using Touchtone communications as my service provider. I am having an issue with the Account Entry & Dialplan Entry on the carrier setings menu. What did you use to get your server running? Thanks a Million! I really appreciate the quick reply. You are a life saver!